How we send your Gym Plan workouts to Apple Health and the Activity app. When you tap Start Workout inside of Gym Plan we keep track of your time spent during the workout and send this to Apple Health and Activity. When you tap Complete Workout we send the estimated calories of the workout to Apple Health and Activity. Note: we do not track your actual calories yet, this will happen when we release Apple Watch integration and add support for other wearables. If you start and complete a workout estimated to take 30+ minutes in under 10 minutes we send the estimated time and calories for the full workout to Apple Health and Activity. Open the Apple Health app go to Sources > Gym Plan > Data > Workouts then choose the workout you wish to delete. Please note this cannot be undone. 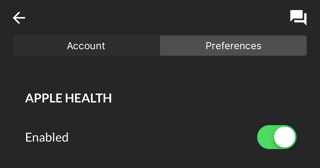 If you delete a workout inside the Gym Plan app (Statistics > History) this will not delete the workout from your Apple Health app and Activity. You must delete workouts you do not wish to track directly from Apple Health.